You are sure to make bold style statements with outfits from Studio Rama. This designer wear label specialises in Indian wear like sarees, readymade blouses, anarkalis, kurtas, and more. The fact that Studio Rama has stunning couture in vibrant colours that will make you stand out wherever you go makes it awesome. 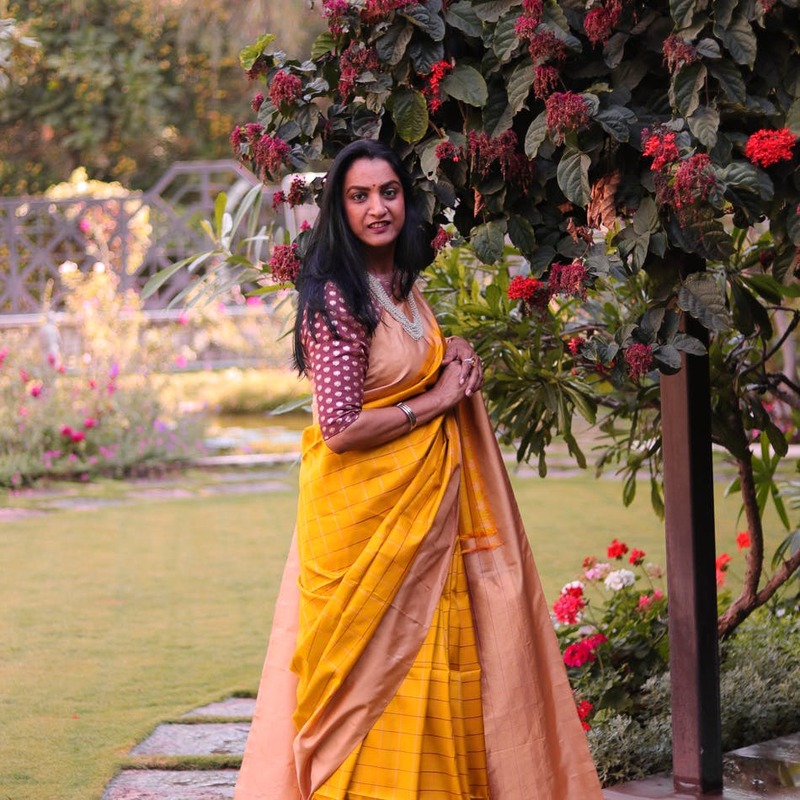 Rama Rrebbapragada has been designing for nearly 30 years now, and as someone who travelled widely across India, her clothing depicts diverse traditional art forms. Whether it's a garden full of flowers or different forms of music and dance — she derives inspiration from every walk of life. The entire clothing line is crafted for modern Indian women who enjoy wearing well-fitted clothes with an edgy sense of style. If fashion, according to you, thrives in understated design, you really cannot wrong with this label. This label makes use of natural fabrics, handlooms, and silks and we love their intricate thread embroidery too. Looking for beautiful sarees? From Uppada Kalamkari and Ikkal Gadwal Silks to Jamdani and Maheshwari Silks, there is ample for you to shop from. If you are the kind that doesn't shy away from draping 'em in different styles, you're in for a treat. Plus, you can mix and match these sarees with the vintage-style blouses from the label itself. The price range across the store begins at INR 3,000 and goes upto INR 15,000. Soon Studio Rama will turn into a zero-waste studio and we'll see the leftover clothing transformed into fabric totes, childrenswear, fabric jewellery, table linen, and more. Rama is actively involved throughout the selection of fabric, design illustrations, choice of lining to order fulfillment. While you can place an order through Instagram and Facebook, the studio in Banjara Hills which is open for visiting on appointment is bracing itself for walk-in customers too.